Cells are remarkably complex structures, containing a vast repertoire of macromolecules, organelles, and other compartments that orchestrate the tasks required for life. For in-depth studies of their function and composition, reliable methods for the isolation of specific subcellular structures are often required. This laboratory manual provides step-by-step protocols for the extraction of subcellular components from animal tissues, yeasts, plants, and cultured cells. Each chapter focuses on a particular eukaryotic organelle, vesicle, membrane, or macromolecular complex. Strategies for breaking cells while maintaining the structural and functional integrity of the component of interest, enriching for that component based on its physical and biochemical characteristics, and monitoring and ensuring the success of the purification procedure are provided. The contributors describe both traditional approaches (e.g., density gradient centrifugation) as well as innovative techniques (e.g., the use of SPIONs) for isolating subcellular constituents. 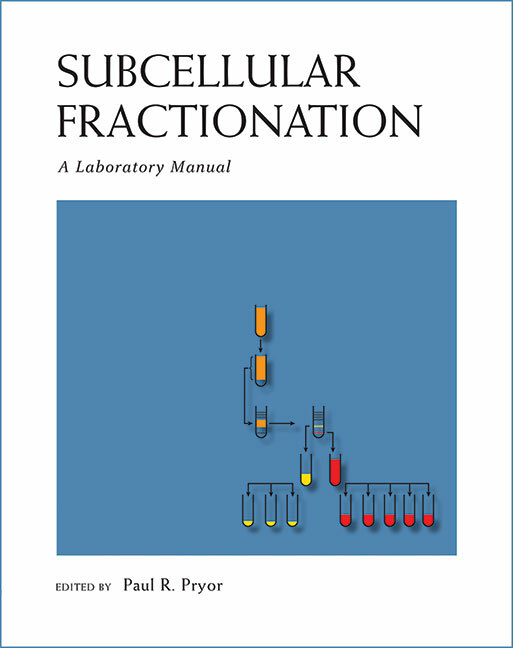 This manual is therefore an essential laboratory resource for all cell biologists seeking a comprehensive collection of dependable subcellular fractionation methods.